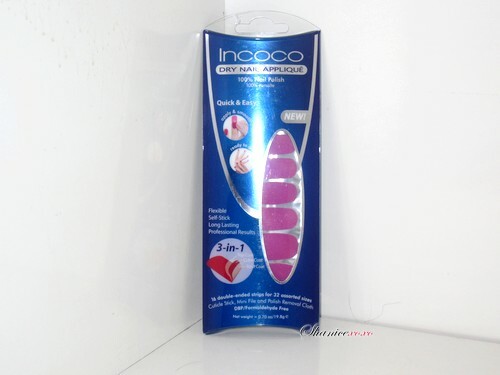 I'm back with another review for you all today, I wanted to review some items I received from Incoco. They offer a wide variety of nail polish strips in all sorts of colors, designs, and images. I haven't tried these yet but I will be this weekend. These here are called Kiss and Tell. They're sort of a purple-pink type of color. Love it! I tried on these bad boys, Written In The Stars, and I loved it. Glitter nails are like my best friend. They were super easy to apply, like 1 2 3! Loved the finished look, they honestly lasted about 3 days until they started to chip off. I wouldn't recommend these for long term use, more for a one night event use. 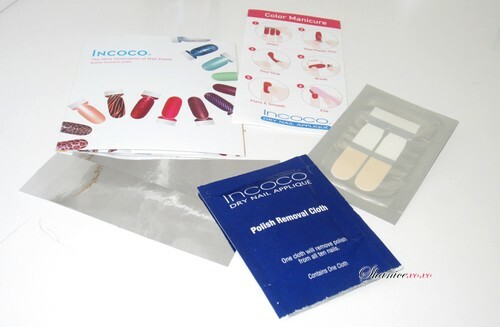 This package came with a nail polish remover on a felt-like fabric along with a small informative guide, some of what I think were 2 french tip application samples and a aluminum sheet. Not exactly sure what the aluminum/metallic-like sheet was for but I love little samples. Overall I liked their products! Just like all nail polish strips they don't last long. Well if you actually do something with your hands. Say if you were the type of girl that doesn't need to lift a finger then this would be perfect for you and would last you about maybe a week. disclaimer: this review was sponsored by incoco. they gifted me these products for a honest review. my opinions weren't influenced by any means. your nails looks gorgeous!love it! Those are too cute and oh so sparkly.